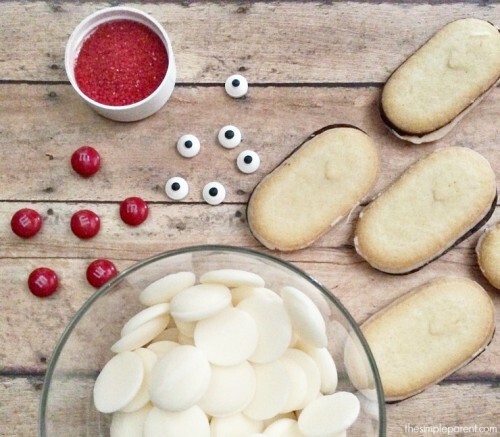 Kids Candy Making Class - Tomorrow! Posted 12/2/2017 8:25pm by Stephanie Bradshaw. For all of you who are coming to the kids candy making class tomorrow, we will be at Grace Bible Church in Lebanon (255 Franklin Rd). Please drive around to the back of the church. The class will be from 2:00pm to 4:00pm. Thank You and Winter Farm Store - Now Open! Posted 11/9/2017 8:17am by Stephanie Bradshaw. Has this week felt a little odd to you? Yeah- me too! It’s hard to do something for 26 weeks straight- like clockwork, and then suddenly stop! Don’t get me wrong- I’ve found plenty to keep me busy... but I have thought a lot about the CSA season this week. It’s nice to have a break, but I am also a little sad to lay it to rest for the winter. However, a little respite is always good for the soul! The farmers and I would appreciate any feedback that you have from the season. We need to hear from our members so that we can plant more of what you like- and less of what you don’t. Tell us the things that you loved, what you would like to have more of, less of or none at all. Sharing your opinions helps us serve you better next season... so don’t be shy, let us know!! We have lots of greens and winter squash available- Sweet potatoes and delicious canned summer tomatoes. We hope you will enjoy having access to these winter yummies as long as we have them available! Posted 11/6/2017 7:48pm by Stephanie Bradshaw. Truffles and Turtles and Fudge….oh my! Forget about fighting the crowds this Christmas and stay in your jammies with holiday music and a cup of hot chocolate! Making your own homemade candies for festive gift giving is a tasty and fun way of customizing your unique gift for adults AND kids! In this delectable class, you’ll learn how to make your own creamy caramel, baby turtles, turtles on a stick, yummy no-fail fudge, and easy chocolate and white truffles that’ll melt in your mouth! This is a “hands-on” class where you’ll be making and taking home your own creations along with time-honored recipes and tips! 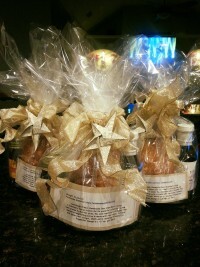 This year, do it “deliciously”….and surprise them all with your home crafted treats! Class will be held in Lebanon (RSVP for address) on Saturday, November 11th from 9am-1pm. All ingredients will be provided, and a list of items to cook with will be given upon RSVP. Cost is $10, but worth every luscious bite! Class size is limited, so sign up soon! Come on and create some memories this holiday season! Posted 10/22/2017 8:03am by Stephanie Bradshaw. I hope you have all enjoyed this amazing week of both weather and produce. We have been blessed with both, and I am so thankful. Below is a picture of week 24's full share. We included a small bag of freshly ground corn meal as a little something extra. I have found that truly organic - non-GMO corn meal is hard to find...and expensive. That's why this stuff makes me so happy...it's made from this year's corn crop. So, please make some delicious corn bread to serve with your beans and turnip greens - or dip your chicken in egg, roll in a corn meal/salt mixture, and sauté in coconut oil! Two of my favorite ways to create meals I feel good about serving. Remember that your sweet potatoes, butternuts, and regular potatoes will store for a long time. The holidays are just around the corner, and both sweet potatoes and butternuts can be used for the southern staple of sweet potato casserole. Our harvest report for next week goes like this: Peppers, Greens or Nappa Cabbage, Garlic, Hot Peppers, Potatoes, Green Beans, Arugula, Cauliflower, and Mini-Bells! 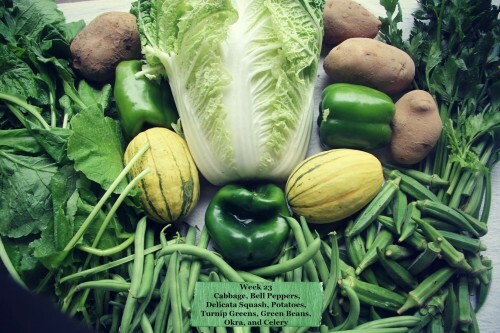 Don't forget that our Winter Meat CSA signups are going on now until the 25th. We have lots going on at the processor right now... getting everything ready for deliveries the 2nd week of November. 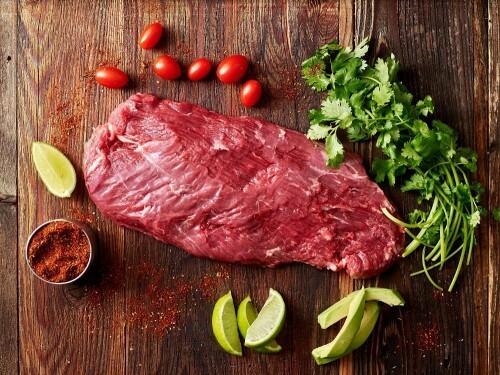 We are so excited about being able to offer you guys an easy way to have all your meat covered for the month. Trust me, having a good supply of meat in your freezer is such a comfort when you're planning out meals. I always know, I have something that I can throw together. Thank you so much for being a part of this year's CSA, and we hope you all enjoy the last two weeks of the season! Posted 10/18/2017 7:04am by Stephanie Bradshaw. Farmhouse Nashville is hosting a DEHYDRATING CLASS! Oh, no! You have too much garden produce! How do you tame all those awesome veggies, fruits, herbs and more? You dry them, of course! Dehydrating is the worlds oldest way of preserving, and is so easy that you’ll wonder why you’ve never tried it before! Come to our Dehydrating 101 class in Lebanon on Sat, October 21st 9am – 11am to learn the convenient art of drying foods with all their luscious goodness. Topics presented will be simple drying of fruits, vegetables and herbs, how to make powders and leathers and drying meats. We’ll touch briefly on dehydrating other staples such as eggs and cheese and you’ll walk away with handouts and lots of info to help start your new journey into building your healthy, tasty food stock! 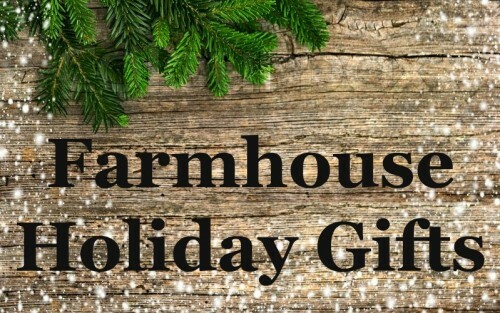 The class is free to Farmhouse Nashville Members and will be held at 104 Bartonwood Drive, Lebanon. Please RSVP if you can attend, and we look forward to seeing YOU soon! Yummy……Dried Cinnamon Apples are calling your name! Week 23 - and a BIG Thank You!! Posted 10/15/2017 10:08pm by Stephanie Bradshaw. All of the greens make me happy! I’m excited to see fresh roasted corn meal in the week 24 Farm shares. This corn is from the Brubaker farm and slow roasted giving it a wonderful flavor. I don’t know about you, but you can rest assured that turnip greens, white beans, slaw and cornbread are on my menu this week!! Yum!! 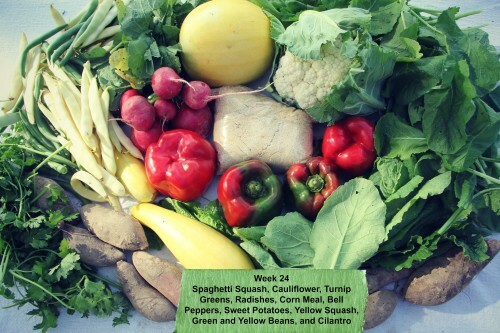 Our Harvest Report for Week 24 goes something like this: Turnip Greens, Green Beans, Peppers, Zucchini, Yellow Squash, Sweet Potatoes, Cilantro, Cornmeal, Kale, Radishes, Mini Bell Peppers and Spaghetti Squash! Yippee!!! What's the big deal on Grass-fed and finished Beef? Knowledge is key! Posted 10/12/2017 8:52am by Stephanie Bradshaw. Since we've launched the Winter Meat CSA, I've had a lot of questions about the benefits of Grass-fed and finished Beef. I've been using only pastured meats for a while now, and really have not done a good job at explaining just how important switching to only using this meat is! I know too much to buy meat from the store. It's one of those things where once you have the information, there's no turning back. The practices of many farmers is absolutely disgusting and dishonest. They know what they're doing is harming consumers, but there is a disconnect with any concern for them. I hope you read all of this, so that you can make great decisions for yourself and your family. Maybe you just haven't thought too much about what the animals you eat today were fed yesterday. It's a pretty common thing. You may have seen labels saying grass-fed, grain-fed, open range...etc., not knowing the real difference between these terms. Once you understand the vital differences between grass-fed beef and grain-fed beef, you'll see things in a different light. Today, most of the beef you find on the grocery store shelves has been fed a grain diet. In general, these cows are fed GMO laden corn and soy products, but often there is more on their menu than strictly grains. It's been reported that some grain-fed cows are actually fed many foods other than grains to keep down costs and promote weight gain. From gummy worms and skittles, to milk chocolate bars, to stale candy still in the wrappers. These poor cattle are fed whatever is cheapest, and will fatten them up the most. I'm involved in many agriculture groups, where the farmers are very open about using these methods. They've been doing this for years, and believe that using GMO grains and sugars is mainstream farming. They've bought the lie of big agriculture, that all of this is okay. So now what do you do? I urge you to take control of your own health by choosing carefully what you eat. Choosing to benefit from grass-fed beef nutrition is a big step toward living a healthy, abundant life. Grass-fed beef nutrition has been shown to potentially fight cancer, reduce heart disease risk, improve blood sugar levels and even benefit the environment, all while being a safer beef option that's free of hormones and antibiotics. 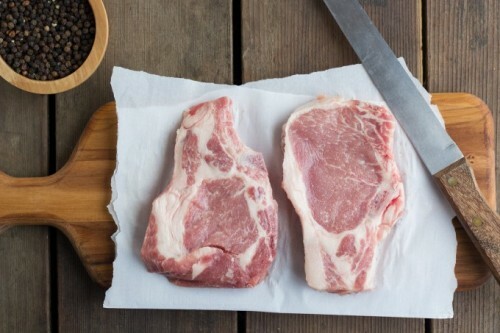 While most of this information pertains to beef, the same practices are used in pork and chicken. We have such a good source of meat, with farmers that are not only honest and ethical - but truly care about the consumers of their products. I am launching the Winter Meat CSA to provide local families with a convenient way to get the best of the best for their families! Posted 10/7/2017 8:22am by Stephanie Bradshaw. 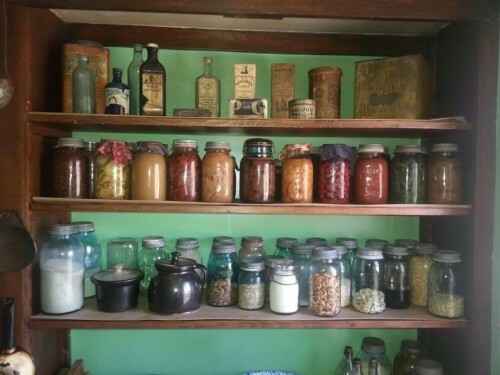 As we approach the end of our Veggie CSA season, I wanted to remind those who are not a part of the Winter Meat CSA to stock up on their pantry items. Our Farm Store will remain open year round, with limited pickup dates and times. The cold weather brings all sorts of things including the holidays, colds and flu, and of course my favorite....soup season! Our pantry department has all sorts of things you'll need this winter. Below is a list of some of the things that every family should have! Raw Honey: If you’re not taking full advantage of the nutritional and medicinal properties of honey, it’s time to begin doing so because honey is a remarkable healing agent for all sorts of ailments. Our Honey is straight from the farm…no sugar water, just bees doing what they do with our crops! Some of the benefits include weight management, countering seasonal allergies, natural cough suppressant and sore throat soother, sleep promoter, memory booster, wound and ulcer healer, immune booster (because of it's antioxidant and antibacterial properties), and can even help cleanse your digestive system! BEE Pollen: Our first year to have this potent stuff, and we are really excited about it….it reduces inflammation, acts as an antioxidant, protects against liver toxicity, boosts the immune system, relieves menopausal symptoms, stress reliever, strengthens blood vessels, corrects cholesterol levels, anti-clotting properties, and a big time aid in clearing up seasonal allergies! Sorghum Molasses: I had the privilege of watching this stuff being made….old fashioned, horse power to make this pure and wholesome sweetness! One tablespoon of sorghum syrup supplies all of the average adult’s daily potassium needs. It’s also high in antioxidants, contains 300 mg of protein, 30 mg of calcium, 20 mg of magnesium and 11 mg of phosphorus – all in 1 tablespoon. Raw Fermented Sauerkraut: We harvest the farm’s cabbage, and turn it into this powerhouse! Fermented Sauerkraut is a fiber rich probiotic that should be consumed on a daily basis to protect your gut. It has the ability to enhance your digestive health, increase blood circulation, protect your heart health, provide you with quick energy, stimulate the immune system, strengthen your bones, reduce the overall cholesterol levels, eliminate inflammation, protect against certain cancers, and even improve your vision and skin health. Canned Tomatoe Chunks and Salsa's: I keep tons of canned tomatoe chunks on hand for all my soups and sauces. We've all seen the concern over canned tomatoes, and the cancerous lining of those cans. I feel so good about having a glass jar of tomatoes that I can add to my winter chili! For all of my holiday get together's, I pull out a jar of our Herb Salsa. It's soooo good, and made from this year's tomato crop. Mama Merrill's Elderberry Syrup: Our own Ashley has been visiting the pickup sites, letting folks taste this goodness. We believe the most important weapon against influenza that you can add to your herbal arsenal is elderberry extract . Whether you are concerned with the seasonal flu or the potential of a deadly strain of influenza becoming pandemic, elderberry extract is a vital addition to your vault of flu remedies. Elderberry extracts have actually been shown to be more effective than a flu shot. It is one of the few natural remedies that has been written up in the medical journals. These are just a few of the items available, so don't miss out on creating a holistic pantry for your family! Posted 9/30/2017 7:42pm by Stephanie Bradshaw. As our season slowly begins to wind down, we are thankful to see so many yummy greens in the farm shares this time of year. I don't know about your family, but mine has been tickled to see the romaine lettuce back in the boxes. We like to start the season out with this yummy lettuce and then end with it back in the shares. Rinse black-eyed peas, removing any shriveled peas or stones. In a large saucepan bring peas and 3 cups water to a boil. Simmer 2 minutes. Remove from heat, cover and let stand 1 hour. Drain and set aside. In the same saucepan, cook bacon over high heat, stirring occasionally, for 3 minutes. Add peppers and onion. Cook 5-6 minutes until onion is lightly browned. Add garlic and cook 1 minute. Add peas, pork hock, broth and seasonings. Bring to a boil. Reduce heat; cover and simmer for 30 minutes. Add rice and turnip greens and cover. Simmer for 20 minutes or until peas and rice are tender. Remove ham hock and bay leaf. Serves 8. One of our members, Caitlin Craig, shared this yummy Lettuce Soup recipe with us - and we couldn't be more eager to try it out...especially since she reported back and said it was a winner. Such a great way to use up those left over greens! Let us know what you think! The farm store is OPEN and stocked with lots of yummy deals! 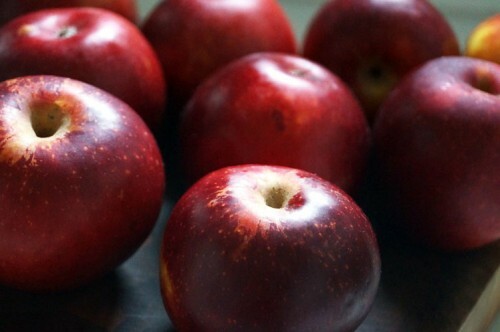 The much anticipated Arkansas Black apples are in stock. These hard apples are sweet, crisp and as the old timers would say, are "winter keepers". 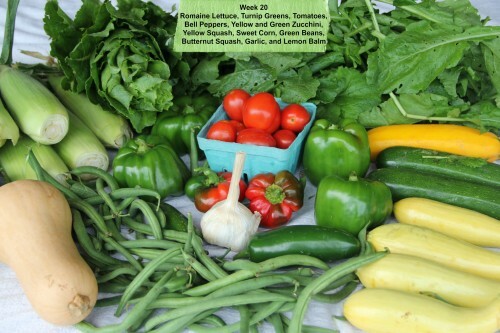 Our Harvest Report for week 22 is looking splendid: Broccoli, Sweet Potatoes, Green Beans, Okra, Garlic, Hot Peppers, Zucchini (Green and Yellow), Yellow Squash, Kale, Cilantro, and Bell Peppers! Don't know about you - but I am excited to see broccoli, kale and cilantro back in the shares! Just a quick reminder, our Winter Meat CSA is currently taking sign ups. We have a very limited number of shares that we are offering since this is our first season. We are already half way filled up - and expect more to sign up tomorrow with our Free Home Delivery deadline ending for our Wilson county friends. If you are interested in signing up - please don't delay! We expect to be a max capacity within the next couple of weeks. If you are in Wilson county - don't miss out on this great opportunity to have free home delivery, offers ends tomorrow!! Posted 9/23/2017 9:50am by Stephanie Bradshaw. We had the opportunity to taste and see the old fashioned art of making Sorghum Molasses this week. We've posted a video of the horses pressing the canes, Here. It was such a fascinating process. The farmers raise at least 24 acres of sorghum cane which produces roughly 4000 gallons of sorghum. It will take them around 5 weeks to press all of the canes. They have a team of 16 horses, 10 working and six waiting to relieve the others. Many mornings they start pressing at 4:30AM. Be sure to order some of this fresh local sorghum from the farm store...if you've never tried it, it's amazing on a hot biscuit! Trust me! Week 20 was another beautiful GREEN box. 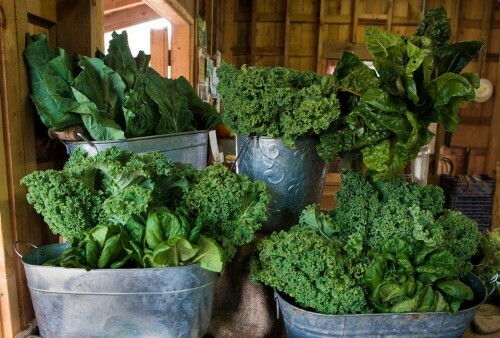 We are loving all of these delicious, nutrient-packed greens. Turnip greens take me back to my granny's kitchen. She made some of the best turnip greens, ever. If you are new to turnip greens - we love them cooked in stock and served with beans and coleslaw...serve it with some hot cornbread and your family will seriously swoon! 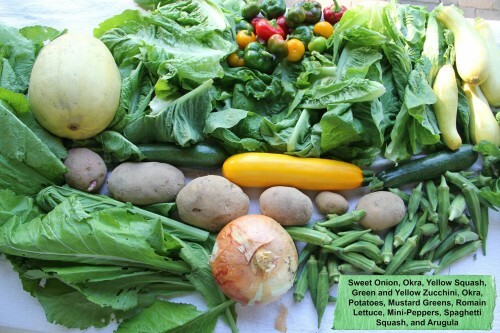 Our Harvest Report for Week 21 goes something like this: Turnip Greens, Sweet Onions, Spaghetti Squash, Potatoes, Green Beans or Okra, Tomatoes, Arugula, Zucchini, Yellow Squash, and Romaine Lettuce. We are looking forward to the last six weeks of the season! The boxes will continue to become greener and greener as the cooler weather moves in...think broccoli, cauliflower, cabbages, lettuces, greens, sweet potatoes, brussels, winter squash and more! We are thrilled to announce our Winter Meat CSA is now OPEN and we are ready for you to Sign Up ! 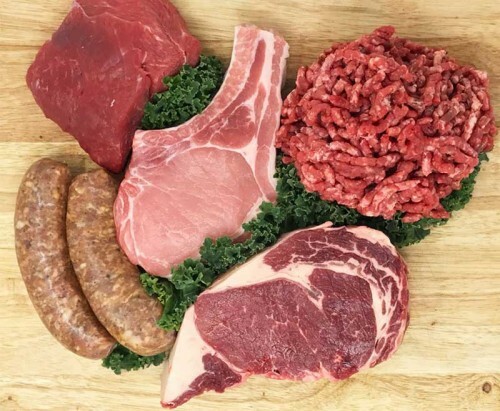 This once a month delivery of fresh, local, pastured meats is sure to keep you fully stocked and happy this winter season! Our Farm Store will also continue to be open as long as the weather permits! We hope to keep the good food rolling in all Winter long! Join us! !